It’s here! It’s here! It’s officially here! Fall that is or Autumn if you will. What a wonderful Fall day it was too. I hope your day was lovely. I welcome the changing of the seasons with open arms. Each season brings with it fun events and delicious foods. Some of my Fall favorites include bonfires, the colorful leaves, watching as fields full of corn or soybeans are harvested, boots and scarves, soups and stews, seeing my breath in the morning air, and all things appley and pumpkiny. I know you are all looking forward to all things appley and pumpkiny too. I’ve been spying on your Pinterest boards and it is no secret you have been pinning apple and pumpkin recipes for at least three weeks. I can’t blame you. Those two flavors are so comforting and just scream Fall. 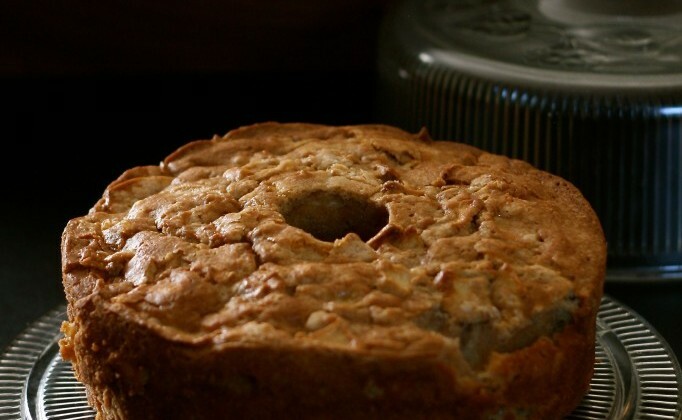 This apple cake was baked on a beautiful cool day last week. I have almost THIRTY pounds of apples to use up! But I wanted to wait until it was officially Fall to share the recipe with you. This apple cake isn’t overly sweet. Which is nice. It pairs well with a cup of coffee or tea –I tried a slice with each just for you. If you need to have your cake super sweet you could always use really sweet apples, or add another 1/2 cup of sugar to the batter, or what I recommend is dusting it with powdered sugar before serving. I baked mine in a tube pan but you could use a bundt pan if that is what you have. 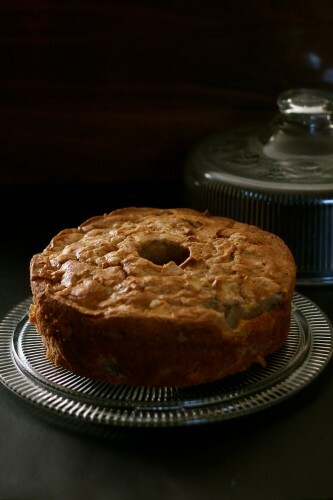 Great apple cake, so festive for the official start of Fall! I’m in apple mode and this cake looks like another perfect recipe to help me ease the transition to fall! Delicious! This is just what I’m looking for!! 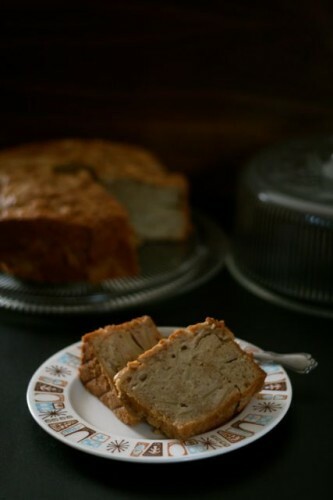 This cake looks so moist and would be perfect to start using all those apples I picked.